Four albums, four winners. Today is a good day. The news has been little more than an endless stream of disgust, shock, horror, and disappointment. So instead of hitting you in the kisser with another mud pie (that’s not actually mud), I promise you that this edition of Listening Booth is all good. Woe to be a rock band in New Jersey. You’re forever fighting off the ever-present weight of its luminaries, and it doesn’t matter what genre you’re practicing in. Somehow, you’re always stuck in that Jersey jar and we all know the names of the celebrities who comprise the lid. That’s a problem for The Successful Failures who have been one of those rarest of things since 2006: reliable. I don’t mean that in a derogatory way – the band has evolved incrementally over the decade-plus – but I know that when one of their albums crosses my path, I’m pretty sure I’ll be happy with it. The band’s latest, Ichor of Nettle, is power-pop/rock meeting roadhouse twang in a South Jersey bar, and only one is going home without paying the running tab. It’s not all feint and energetic misdirection. “Tennessee Boy” is as honest a folk tune as you could ask for. The honky-tonking “PA Fight Song” and straight-up pop-rocker “All Wrapped Up” each have the capacity to stretch a big, dumb grin across the listener’s big, dumb face. 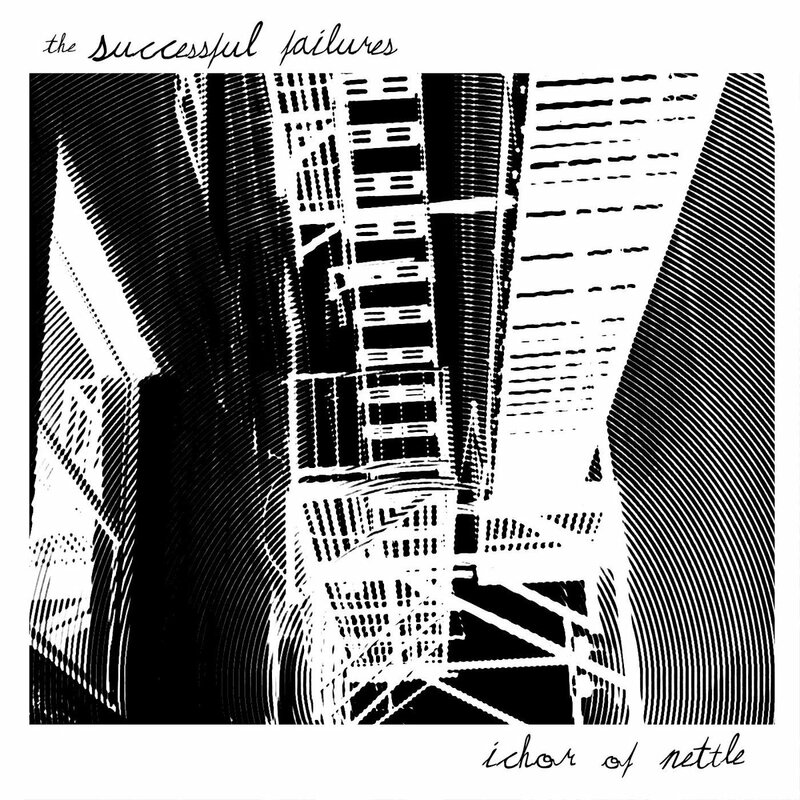 But let’s be clear: if you’d like a collection of honest, no-crapola rock and roll that feels fresh and not extruded from a 3D printer, you’ll appreciate Jersey’s best-kept secret, The Successful Failures, and Ichor Of Nettle couldn’t be a better introduction. I’ve said it on multiple occasions and stand by it: we’re lucky to have Beki Hemingway at the microphone. That’s never more true than it is in 2017. I won’t go into details, but this hardest of years could have been far worse, so in many respects, Hemingway’s latest, Whins & Weather, becomes that much more poignant and, in many ways, more satisfying. We haven’t heard from her on record for some time, not since 2012’s I Have Big Plans For The World. 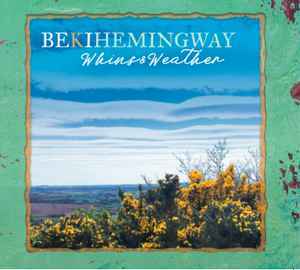 While that EP leaned heavily and confidently on Hemingway’s pop-rock sensibilities, Whins & Weather is mostly in the folk and country tradition. The opening “Two More Hills” swings the door open with a gentle sentiment of purpose and optimism. The bluesy “My World Is Out There” is destined to make you sway like one of those great AM radio anomalies from the singer-songwriters of the ’70s did, and Hemingway’s voice, bold with a hint of roughness, remains the unheralded wonder it has always been. “Thank You For The Rain” is the pop-rocker of the disc, but is picture perfect in the midst of this collection, an inspiring track that seems to swell up from the bottom of the heart to appear fully formed when the storm subsides. The ever-potent combination of Hemingway and writing, performing, and life partner Randy Kerkman renders every song in their best version on the album. A further example is the closer, “Tourist,” a soft atomic bomb, a heartbreaker that takes the form of a time-faded telegram. Hemingway, harmonizing with piano player Duke Special, will gently wring it out of you like few pairings can. Whins & Weather is not just a good album. It’s one of the best albums of the year. Pick it up and realize how lucky we all are to have Beki here to give us such a gift. 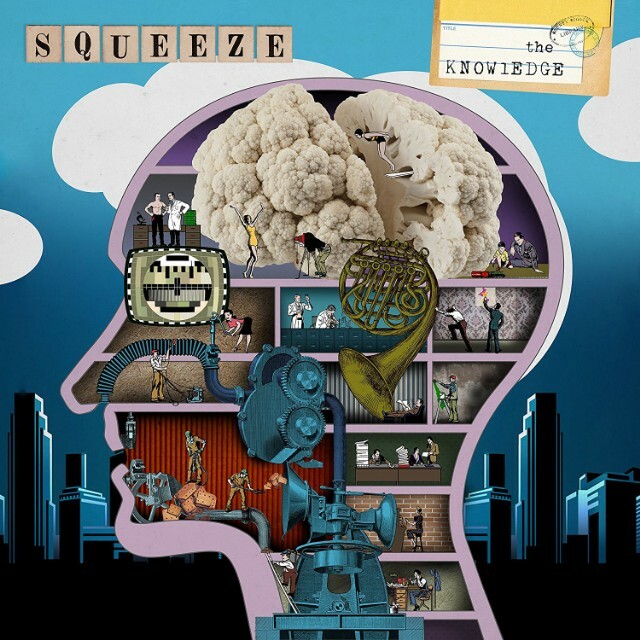 A friend of mine heard the new album by Squeeze, The Knowledge, first. I’ll admit that his opinion initially biased my first impression. “It’s so…mature,” he said in a pejorative way. It’s not an insult if I said his conception of the perfect Squeeze album is “Pulling Mussels (From A Shell)” played on an hour-long loop. He’d agree with that assumption. So when I finally heard the album for myself, all I could think about as it played was, “It’s so…mature.” Yes, it is. The Knowledge is not Argybargy, but that doesn’t mean it isn’t good. I’m assured that the songwriting team of Chris Difford and Glenn Tilbrook couldn’t write a lousy song, even if it was required that they do so. Still, the new songs demand you give proper time to them to reach full bloom. Opening the record, “Innocence In Paradise” could easily be Squeeze or Tears For Fears in their more contemplative moments. “Every Story” sounds like the soundtrack of a French bistro menu after it has been wrinkled up, then flattened out. It is slightly esoteric, made interesting by the wordplay and the discomfiting texture of occasionally distorted accordions. “Final Score” is a warm ballad on a very cold subject: a child abused by a sports coach and how he attempts to live his life with “the knowledge,” and his subsequent decision as an adult to face his fears and speak the truth of that shame and hurt, buried so deep for so long. “Please Be Upstanding” is the Squeeze you expect and, as such, will be the track you gravitate to first. No shame in that. It’s a big, pop-rock sing-a-long and certainly the hook that will bring you back to a demanding collection. In retrospect, as great a song as it is, it’s not nearly as daring as the rest of The Knowledge, but absolutely necessary. It’s the track that keeps you on the line until you’re ready for the rest and, therefore, is a canny, strategic placement. The Knowledge rewards patience as well as the effort to actually listen to the work, versus the reflexive dismissal that there isn’t an “Up The Junction Part 2” to be found. Frankly, why would you want that anyway? 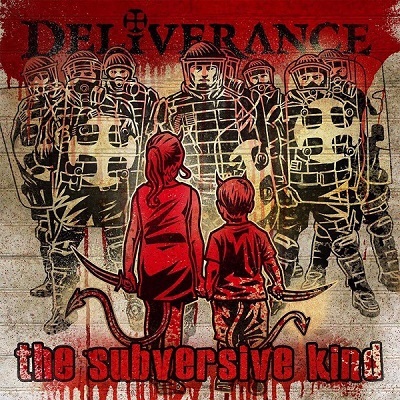 My favorite Deliverance album is River Disturbance which, to many Deliverance fans, is an admission of unworthiness to say anything about Deliverance at all. To greater or lesser extent, Learn, River Disturbance, and Camelot In Smithereens comprise the band’s “nadir, a descent into alt-rock and glam,” which is nonsense. But these three albums do not represent where the band began, in the world of thrash metal. The past couple of years have found Deliverance’s lead man Jimmy Brown in a very productive frame of mind. He masterminded the prog rock album Jupiter IV; is working on an album with new collective Eraserhead which, last I read, is going to be very much in the vein of the three Deliverance albums I’ve mentioned; and is in the preliminary stages of re-recording Camelot as a sort of Director’s Edition, more in line with his initial vision of the record versus the truncated song-only album that was presented to the world. Oh, and Deliverance is thrash again. For all who favored The Big D in that form, everything I said prior to that statement has disappeared and all you’re focusing on is “Deliverance thrash is back.” Yes indeed, The Subversive Kind has prompted Brown to reclaim the band’s unleashed status, almost as a response to a challenge raised by other once-and-present thrashers like Metallica, Megadeth, and Anthrax. Do they succeed? Well, I wouldn’t have added them to this post if they didn’t, would I? In terms of metal, the record is about as honest as you can get, with production that never steps out in front of the music. In fact, it sounds very much like a super-tight band, rehearsed to within an inch of everyone’s lives, that stepped into a mic’d studio and just exploded out. The individual players on the record have done their tours of duty: Jim Chaffin and Greg Minier played drums and guitars, respectively, for The Crucified; Victor Macias held down the low-end for Tourniquet, and Glenn Rogers may be best remembered for his stint with Vengeance Rising. The chops are in force. So are the songs. From start to finish, The Subversive Kind is a collective fueled on pure aggression. Brown’s promise to, shall we say, deliver the Deliverance of old, however, is an impossible task. All the players here have gotten sharper, harder, and even more nuanced. The production on the record has the right level of dryness, something those late-’80s/early-’90s records, beloved though they might be, simply don’t. That was just the way things were at the time, when echo and reverb were your friend and made things sound super-massive. The Deliverance of 2017 doesn’t need the extra atmosphere. They are naturally the heaviest things you’ll hear all year. Go forth and bang your head.